I rarely buy chips or snacks at the grocery store for a variety of reasons, but mostly I just forget that snacks have an important place in my day. 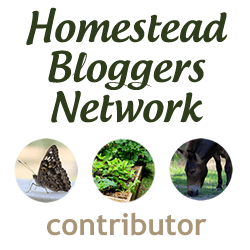 After looking through my kitchen and finding only meal-material, I set out to find a solution using a basic staple: cornmeal. I love chili-cheese fritos, they’re quite the guilty addiction! 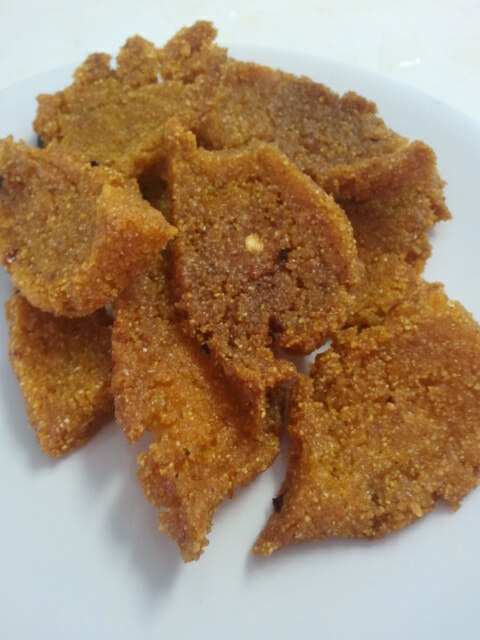 I set out to make my own with this delicious recipe and the result was a crunchy, cheesy, spicy treat perfect for snacking! Heat up your oven to 400 degrees. In a medium pot, boil the water with the butter, spices, salt and butter. 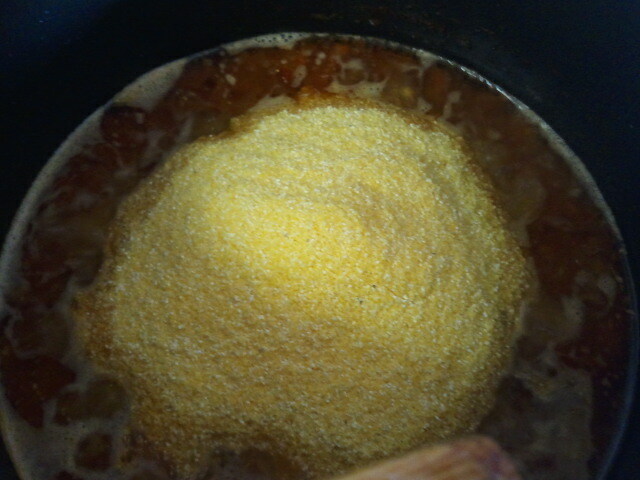 When it boils, add the cornmeal and stir until it’s fully mixed. Add the flour and stir completely. I added some extra cayenne pepper and red chili flakes because I wanted them spicy!! 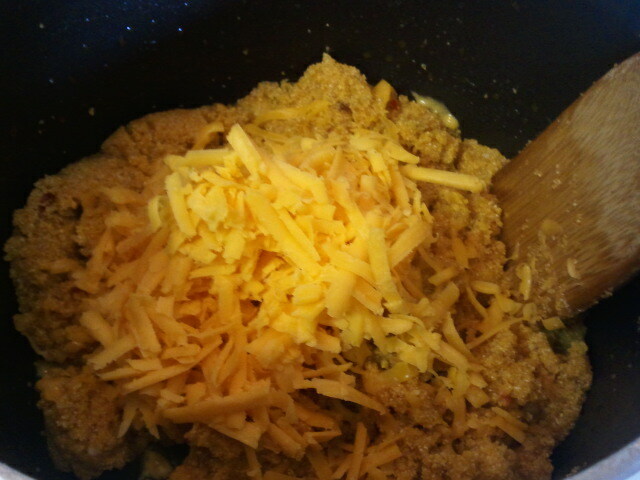 Add the shredded cheddar and make a big cheesy mess! Let the mixture cool for 10 minutes in the fridge, then on a large flat surface, take portions of the dough and shape it into a long flat coil. Chop it in small pieces (half and inch) and place on a greased baking sheet. Take a spoon and press down on each of the slices so they’re a bit flatter. Bake for 12 or so minutes until they are lightly browned. Enjoy your crunchy and cheesy chili corn chips! Are there any other snacks you’ve made from scratch?